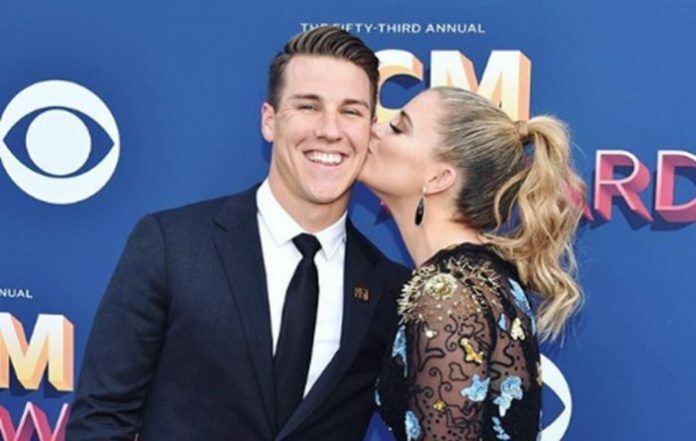 The 23 years old, Alex Hopkins and his girlfriend Lauren Alaina are engaged. Lauren Alaina shared this news via an Instagram on 21st July 2018 in which she wrote, “Being yours forever has a nice ‘RING’ to it. “HoppilyEverHopkins @_alex_hopkins WE ARE ENGAGED. EEEK.” She included emojis of a wedding ring and a heart. Lauren is glad that the couple began their romance at 17 as she thinks Alex is “way cuter than her.” Further, she stated she would have no shot with Alex if they didn’t commence their relationship in the teenage years. Likewise, Alex shared the first selfie of the two as a pair on 14th October 2016 mentioning that he asked Lauren to be his girlfriend on the same day before four years. Additionally, he revealed that he was way too nervous in the beginning and still panicked after dating for four years. In sum, Alex Hopkins has acted in several TV commercials and he wants to be an actor or model in the future. And, he has walked in the ramp in his first fashion show in early July 2018.